Recipe #2 from the Joy The Baker cookbook! I couldn’t even wait for the weekend. I made a special trip to the grocery store on my lunch break yesterday and made this last night. I’m really excited about this one, you guys. 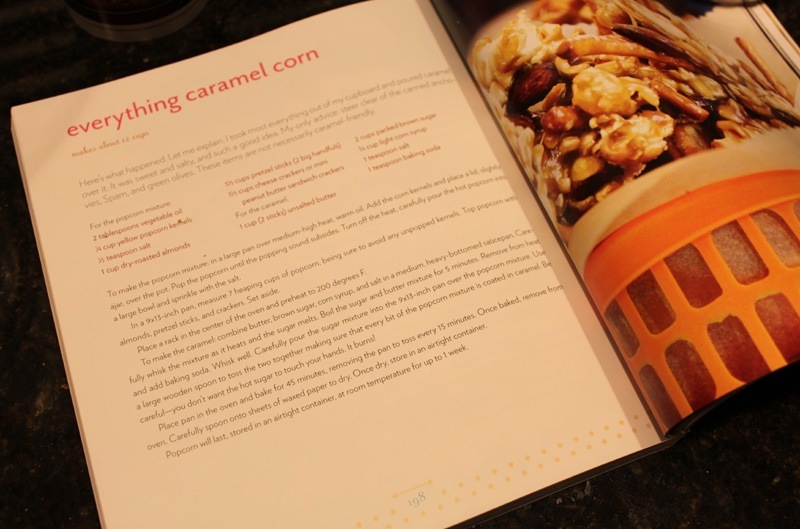 This caramel corn is perfect as party food or a special husband treat or just to stand over the pan and stuff your face full of. Options, you know? Use my PopLite! 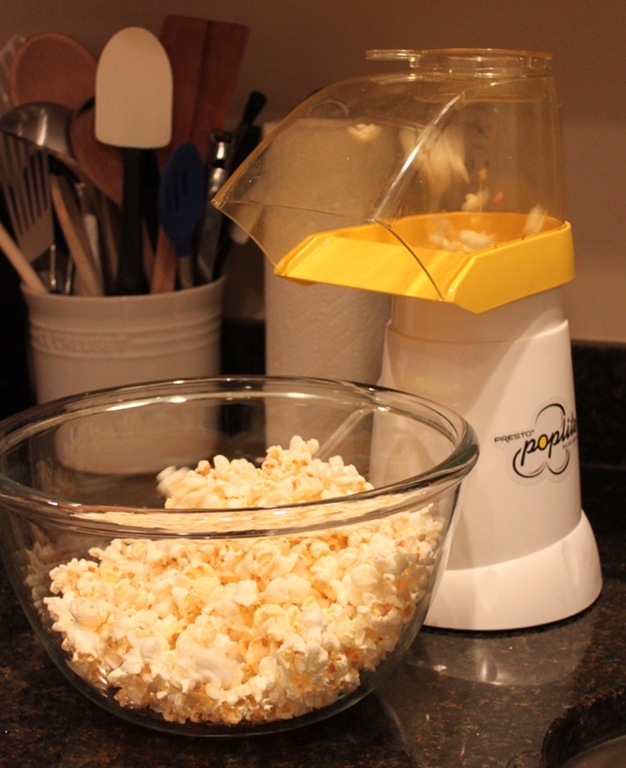 Our friends Will & Gina got us this popcorn air popper as a wedding gift and I use it all the time (as I’ve mentioned before). You can totally do either option. 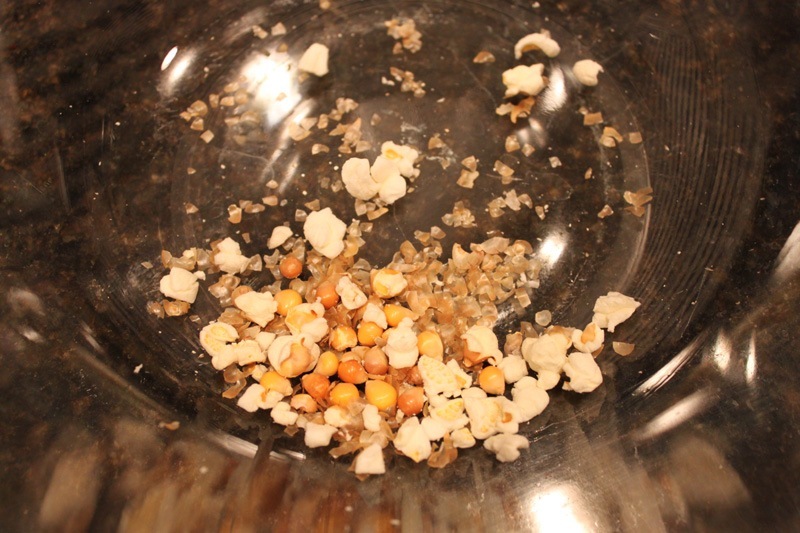 If you’re going to cook the popcorn on the stove you’ll need 2 tbsp. of vegetable oil per Joy’s recipe to cook in. 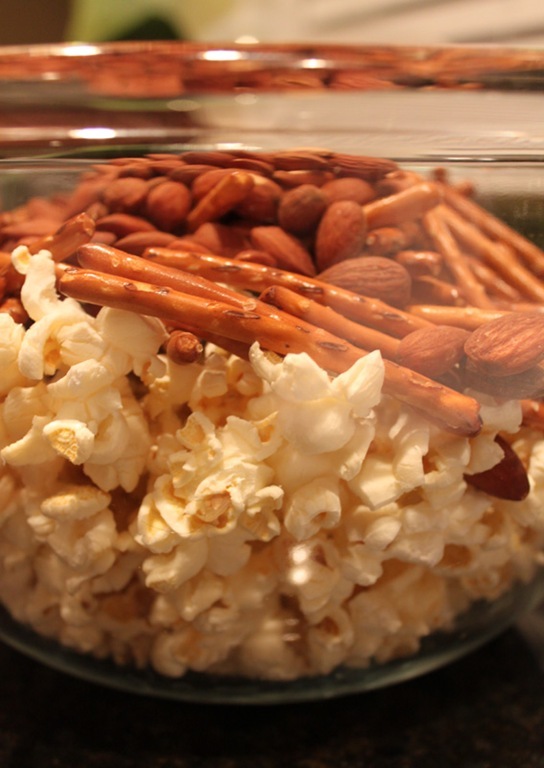 Can you use microwave popcorn for this recipe? Um, no. You must be cray cray to even ask. I set up my PopLite and giant bowl, and let it rip. 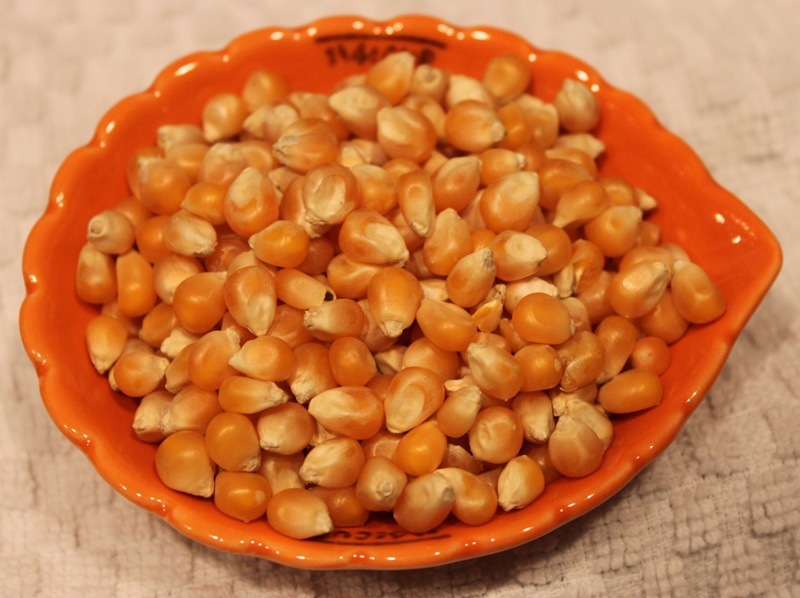 It takes 2-3 minutes to pop 1/4 cup of kernels. 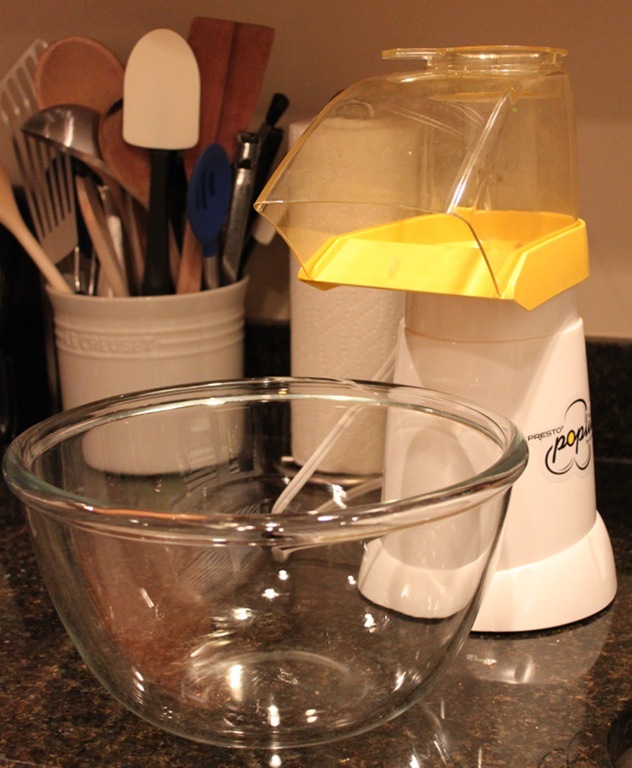 When the popcorn is all popped, sift through and make sure all the unpopped kernels and junk fall to the bottom of the bowl. 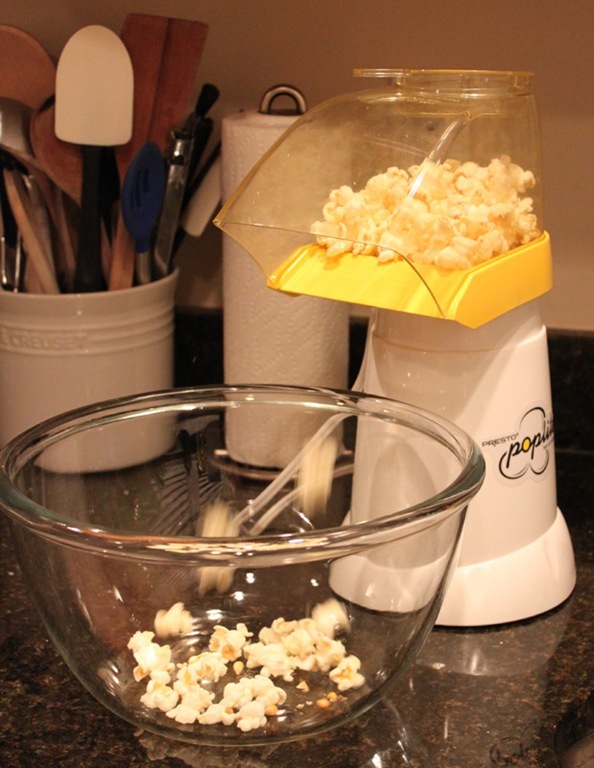 Transfer the good popcorn to a big bowl as you work through it. When you are left with the yucky bits at the bottom, throw them out. You don’t want anyone biting down on this stuff. 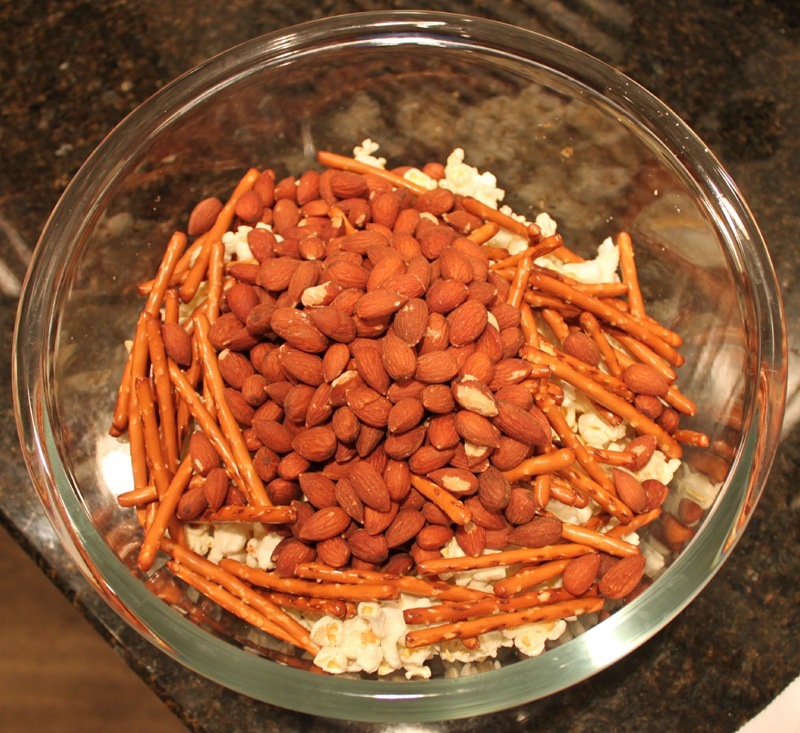 Next add the pretzel sticks and almonds to the bowl. 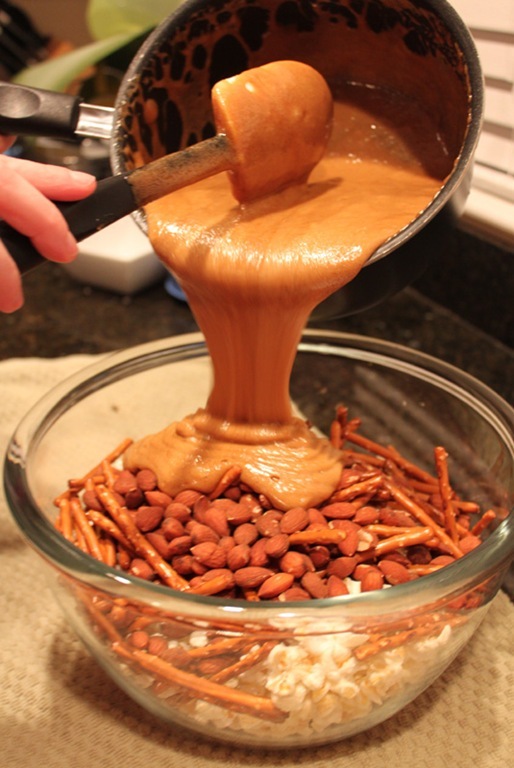 Time to make the caramel! Well, a word first. This recipe calls for corn syrup which, as I’ve mentioned before, grosses me out so I’m always looking for alternatives. 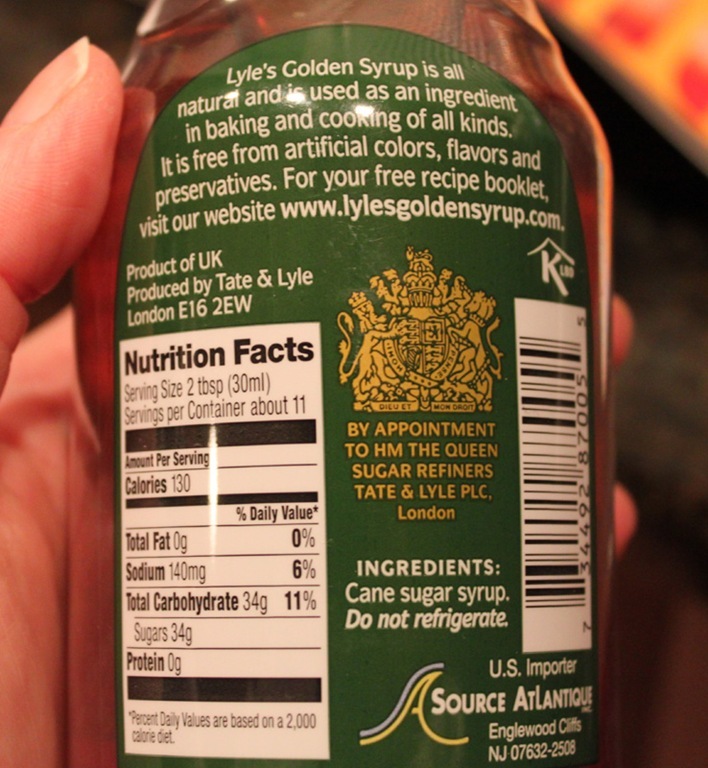 The very awesome Adam Ragusea (yeah, the dude from NPR, no biggie) commented on my blog once to suggest I try using what the Brits use: Lyle’s golden syrup. I found it at the grocery store and decided to give it a try. Pure cane sugar syrup instead of modified corn junk! 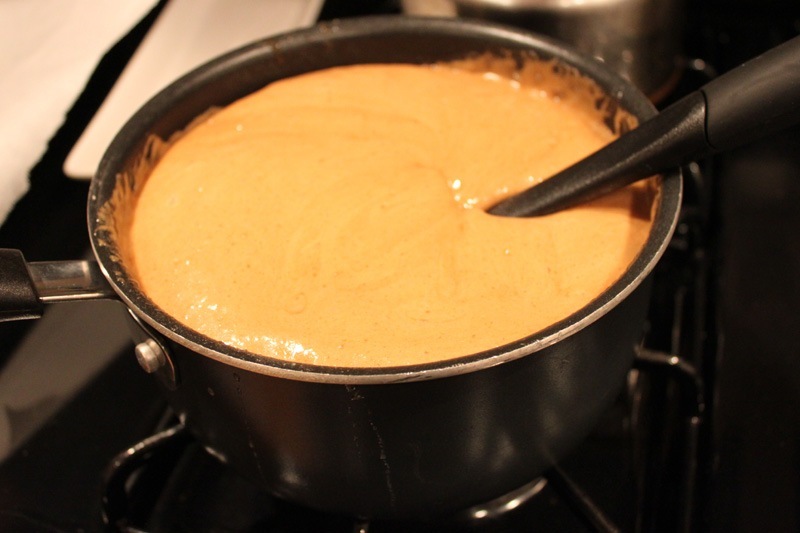 Ok, combine all of the caramel ingredients in a sauce pot. Boil over medium-high heat for 5-6 minutes, stirring often. 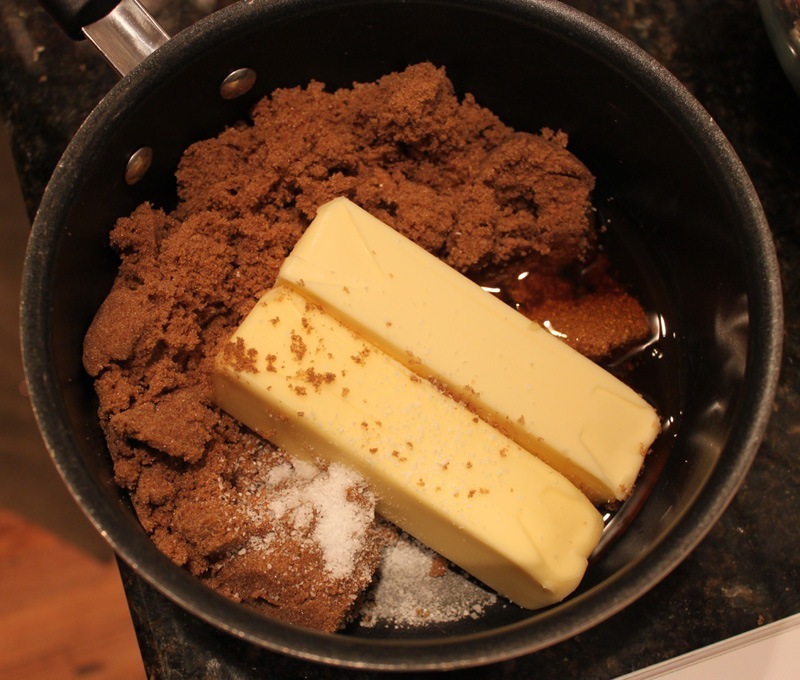 Joy’s recipe calls for a tsp. 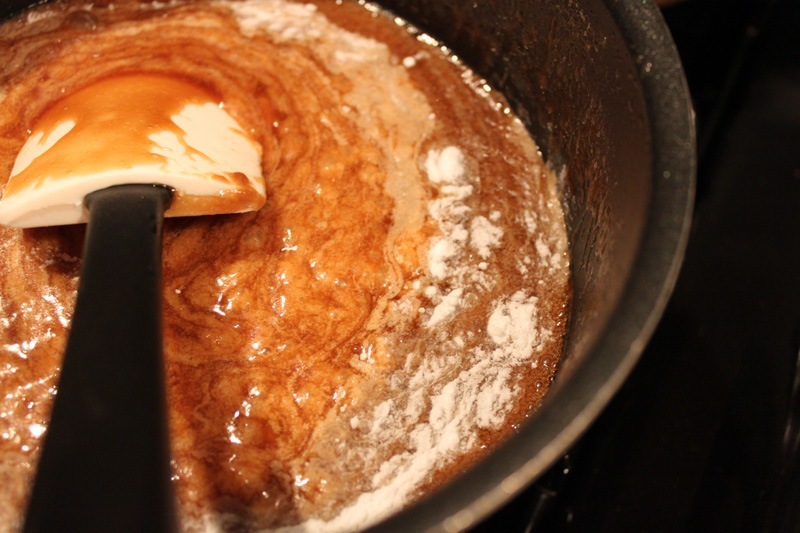 of baking soda when the caramel is done. I had never heard of this before but she’s the expert so I tossed it in. Wow! It puffed up into this luscious foamy mixture and the color went from dark brown to light tan. 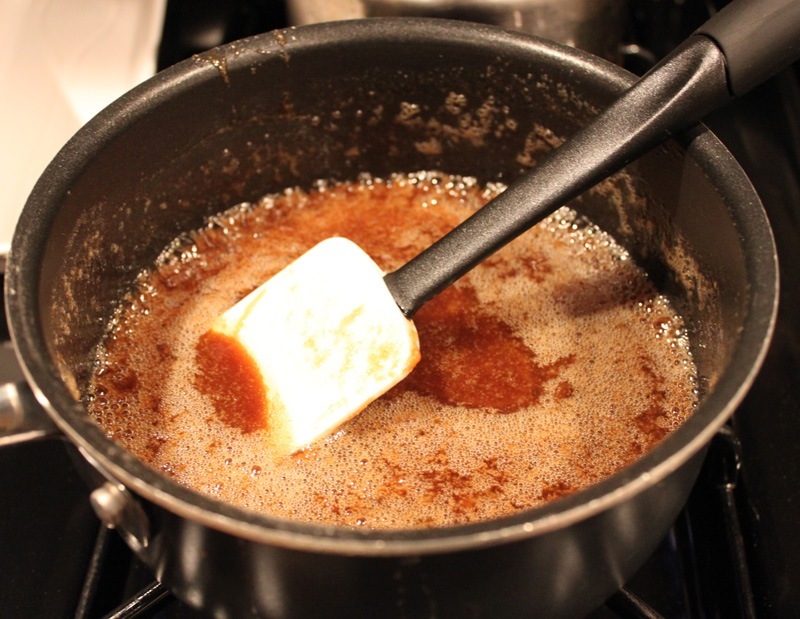 It reminded me of what happens when you add cream to caramel except the baking soda kept the caramel big and airy. Very cool. 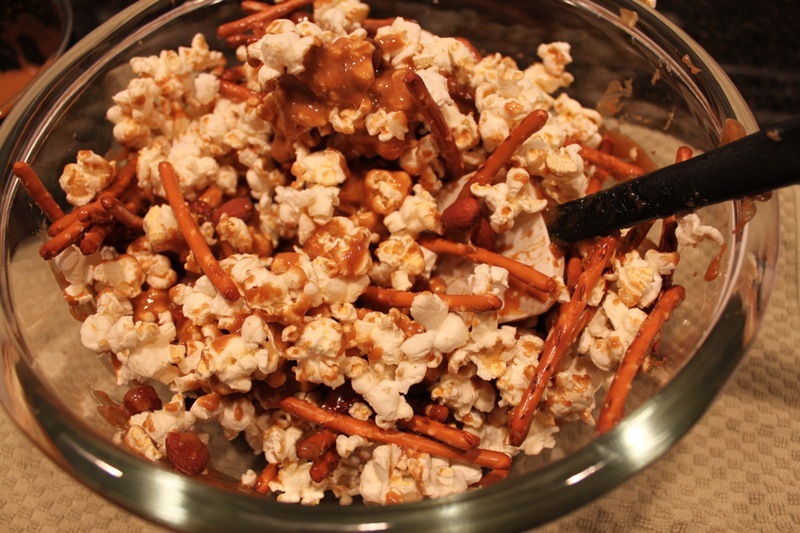 When the caramel is done, pour it over the popcorn/pretzel/almond mixture and stir in thoroughly. Joy’s recipe calls for baking the mixture on 200 degrees for 50 minutes or so. I didn’t exactly want to wait that long so I baked it for about 10 and then removed it from the oven to cool. Oh man. This is the perfect snack. 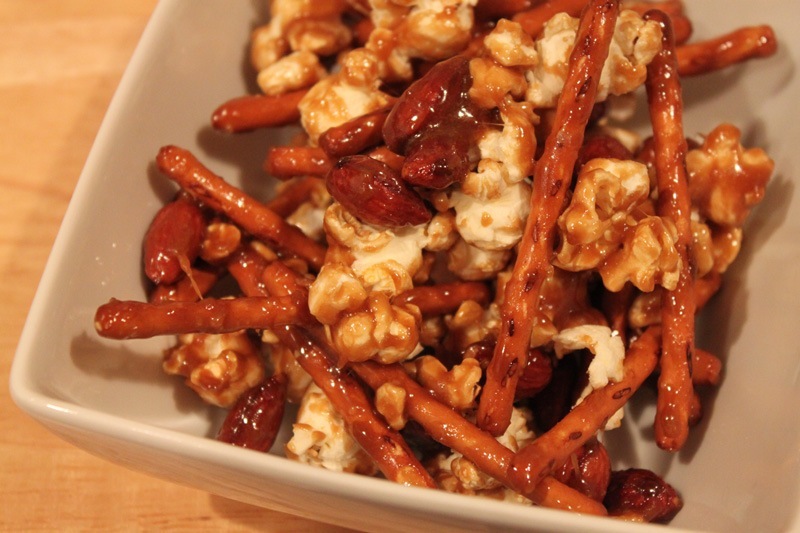 It’s sweet, savory, a little salty, crunchy, and it’s just so darn satisfying. No, it’s not healthy at all. Life is short – indulge a little and share with friends, that’s what I always say. JTB Book Tour Update: We are going to be in the area that weekend and I will be going to Joy’s book signing in NYC! SO EXCITED! 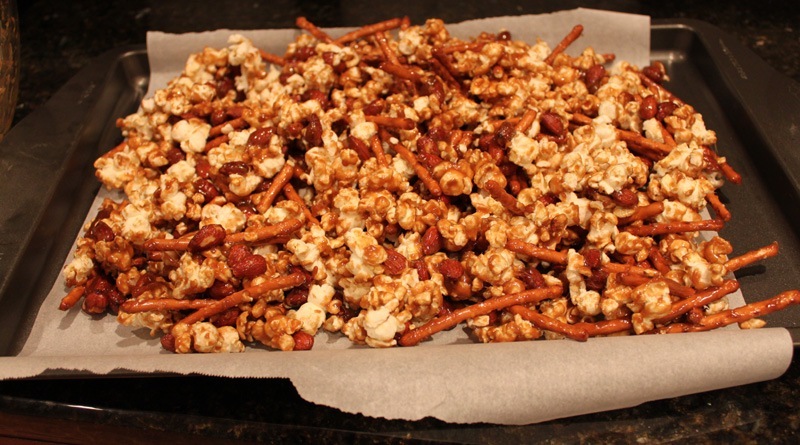 This whole new caramel corn recipe blog experiment was just an excuse to humblebrag about Adam Ragusea, wasn’t it? Haha, it really wasn’t! I realized as I was writing it. DEFINITELY worth it! I use it every week or every other. It’s not a gadget that collects dust! That shot of the caramel being poured is fantastic. LOL! Did John tell you he took that?!? No, he really didn’t. I just legitimately think it looks scrumptious!